Thank you, thank you, thank you. I have been needing this for 20 years. I am a health focused, wife, business owner, parent of 3 busy kids and teens - one with celiac disease and meal planning has absolutely overwhelmed me. I actually like cooking - but I never learned the tricks when I was younger - and I haven’t figured out how to get it all planned out, shopped for and then to have enough consistent energy to get it all done on a regular basis. This program takes away the hard first steps - the planning, deciding and picking things everyone will eat, writing out the shopping list, organizing it then timing everything so that it works with our schedule and advance prep. Well, before this program, I just couldn’t get it all together more often than once in a blue moon...Or... I would buy all the ingredients for a variety of meals and half the ingredients would sit in the fridge unused b/c I came home too exhausted from work or realized that our schedule had changed. This program breaks everything down into easy steps and takes away the need for professional like experience and mental gymnastics. Thank you!!! You have a giant fan here (hehe - and if you want an investor - I’m your gal). 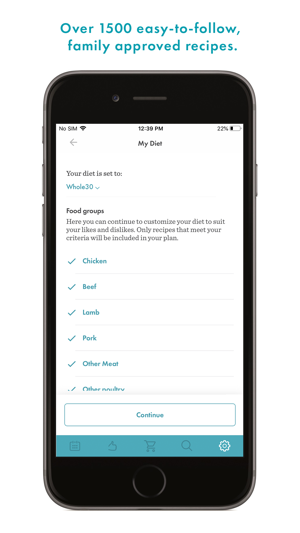 I bought Realplans instead of using a free meal planning app because of the option to have planning for my dry January Whole 30. Once my learning curve flattened out I really enjoy using Realplans. The app is great for the shopping list, I like the variety of meal options. It has made my food life easier. However, paying an extra $30 for a Whole 30 isn’t worth it at all. 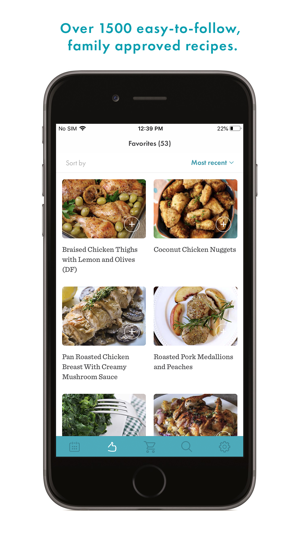 You get access to 328 Whole 30 recipes, but the majority of the planned meals weren’t from Whole 30. I own 4 of their books and many of those recipes aren’t on the website. She uses lemon garlic dressing in a lot of her meals and searching for lemon garlic dressing in the recipe box, nothing comes up. I had a lot of repeat side dishes, like sweet potato mash, nothing using leftovers in a repeat meal. I ended up choosing my own Whole 30 meals which I didn’t need to pay extra for. Also my 10 day reintroduction plan didn’t work at all. I chatted with support who told me to add my own recipes. Well, yea, but that’s not what I paid $30 for. 4 days later, I’m still waiting to hear from them. So, Realplans? Yes Whole 30 option? NO. You can plan it on your own. This app has been life changing for me and my husband. After personally struggling with weight and feeling terrible for years - I finally found answers when I was diagnosed with an autoimmune disease - Hashimotos. The first order from my endocrinologist was to change EVERYTHING I thought I knew about food and go Whole30, some Paleo, DF, and GF...FOR LIFE - as in a total lifestyle change. I went to Pinterest for recipes but was concerned that some of the ideas to pin weren't Whole30 approved. I was right. So I spent time on the Whole30 site and found Real Plans. I was unsure at first with a subscription charge..but I can assure you I'd be LOST without this app. 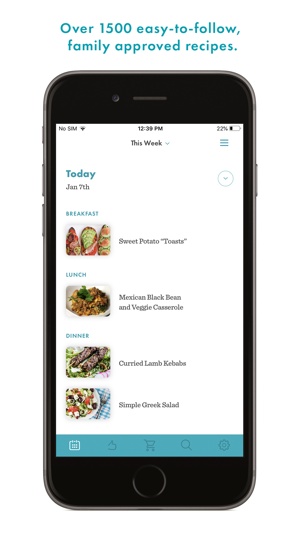 From the roulette wheel of customizing dinner plans, adjusting servings to accommodate for left overs, and the grocery list - real plans is a necessary toolkit for making a truly healthy lifestyle change.